Tony and I love Wallace and Gromit. 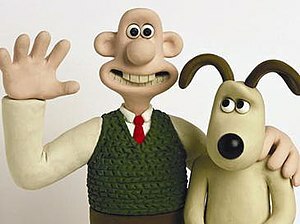 For those that don’t know, Wallace and Gromit is a series of clay stop motion shorts by Nick Park featuring an inventive, oblivious lover of cheese (Wallace) and his attentive and resourceful dog (and Tony is my son). We were watching their latest adventure, The Loaf of Death, on Netflix the other day. The animation is so compelling that you quickly forget that the characters are made of clay. Then, during a close up of Gromit, I noticed fingerprints on his legs that changes several times a second. I could see where the animator repositioned and reshaped Gromit over and over and over again. Delivered. Transferred. And in verse 12, qualified. As Pastor Tchividjian points out, all these words are past tense. All have been accomplished already. And then, we HAVE redemption – present tense. God WAS working and is NOW at work. And the evidence is in the life of the believer. God the Father has his fingerprints all over His creation. If we are followers of Christ, He is in the business of shaping us. Remaking us. Guiding is in the right direction. The heavy lifting has already been done. Which is a wonderful thing, because NO ONE could deliver themselves from the “dominion of darkness.” Our deeds are merely the evidence of Christ in us, not the means to the end. Are you sporting the fingerprints of the Creator? PreviousDid I Really Want to Go to Elephant Room 2? NextPaper or Plastic? Permanent or Temporary?